Europe's most expensive cities are those that are not on the Euro. The most expensive city in Europe is Geneva (ranked 8 in the world), while Zurich is Europe's third most expensive city (ranked 10 in the world), making Switzerland the most expensive country in Europe. The Swiss Franc has strengthened by 8% in the past year and by 16% over the past 2 years. Geneva is followed by Moscow (ranked 9 in the world), which had fallen in the cost of living rankings last year and shot back up to 6th most expensive city in Europe earlier this year. The Russian Rouble has strengthened 14% against the Euro in the past year. Oslo is the fourth most expensive city in Europe (ranked 12 in the world), followed by Copenhagen (ranked 16 in the world). The cheapest city in Europe is Sarajevo in Bosnia and Herzegovina (ranked 292 in the world) with a cost of living index of 57.15 (New York = 100). Tokyo is the most expensive city in the world in which to live, out of 300 global locations, surveyed in September 2010. While Tokyo is relatively cheap for items such as alcohol & tobacco (ranked 145), it is the most expensive for groceries and healthcare, and household accommodation costs. Tokyo has always been relatively expensive. This trend has strengthened again recently, as a result of the Japanese Yen having gained in value by about 18% against the United States Dollar in the past two years. As the most expensive city in the world, Tokyo has an overall cost of living index of 155.4 (New York = 100), while Dubai (ranked 60 in the world) has a cost of living index of 88.84. Therefore Tokyo's cost of living is 75% higher than Dubai. That means that an expatriate earning USD$5,000 per month in Dubai would need to earn USD$8,750 per month in Tokyo to enable them to have the same purchasing power, and therefore a similar standard of living as they had in Dubai. The cost of living for an expatriate is affected by both the availability and prices, of goods and services representative of an expatriate lifestyle, local inflation, and the exchange rate between the home and host country. 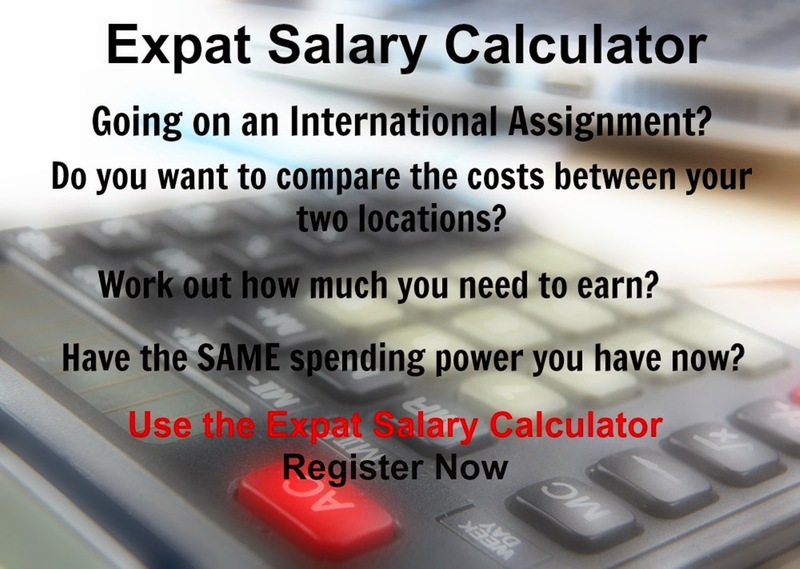 As a result the cost of living has a significant impact of an expatriate's salary package. Caracas has moved up the rankings to become the second most expensive city to live in. Caracas is most expensive place in the world for furniture and appliances, recreation and culture as well as for hotels restaurants and meals out. Caracas is the second most expensive place for alcohol and tobacco, groceries, and healthcare. Hong Kong is the third most expensive city in the world for expatriates to live in. The high overall cost of living rank for Hong Kong is primarily a result of two expensive basket groups. Hong Kong is the third most expensive city in the world for healthcare, and is the second most expensive city in the world for household accommodation, which typically comprises 30% of an expatriate's expenses. Hong Kong is a good example of why many international organizations compensate separately for healthcare as well as household related costs such as housing rental, water, electricity, household gas, household fuels, local rates and residential taxes. Items that are provided by the employer should be excluded from a cost of living index calculation. The cost of living index for Hong Kong excluding healthcare and household related costs is substantially lower than it's overall cost of living index of 128.9 (New York = 100). Hong Kong is relatively cheap for recreation & culture (ranked 241 in the world), education (ranked 259 in the world), as well as furniture & appliances (ranked 268 in the world). Osaka, ranked fourth, is a new addition to the rankings. Osaka is most expensive for household accommodation (ranked 3 in the world), healthcare (ranked 5 in the world) and groceries (ranked 6 in the world). Sao Paulo, another new addition to the rankings, is the fifth most expensive city in the world. Sao Paulo is the most expensive place in the world for education, and is ranked second most expensive for clothing. The Brazilian Real has strengthened by 11% against the United States Dollar in the past year, although it is still weaker than it was two years ago. Sao Paulo is ranked in the top 55 most expensive cities in the world for each of the 13 basket groups.